Each spring, as the weather gets warmer, children across America count the days until the final school bell rings. Daydreams of bike rides and water parks make it hard for young scholars to focus on reading, writing, and arithmetic. For most kids, June, July, and August are fun-filled months when memories are made and friendships bonded. Sadly though, for too many others, the joys of summer are overshadowed by injury—or worse. According to a Safe Kids USA study, in 2004, more than 2.4 million children were rushed to the ER with injuries sustained while engaged in everyday activities such as swimming and bicycling or simply crossing the street. Tragically, 2,143 of these young victims died. Law enforcement and public safety providers are joining forces to reverse this alarming trend. Thanks to experience with programs such as Neighborhood Watch and National Night Out, many crime prevention organizations already possess the tools needed to educate the young people of their community about summer safety. In Plano, Texas, a busy suburb north of Dallas, the city’s crime prevention unit has developed an integrated, interactive safety course that has become a success with kids and parents alike. Vacation Safety School is a free, one-week summer program for six- to nine-year-olds who live in Plano. Each session lasts three hours. The course is repeated four times each summer, with 30 spaces available per session. Summer safety lessons are taught primarily by Plano Police Department personnel, who cover a wide range of topics, including Officer Friendly, fireworks safety, electrical safety, home alone safety, and street smart safety. Guests from outside agencies such as the Plano Fire Department and the North Texas Poison Control Center also are invited to share their expertise. “Show-and-tell”-style presentations, field trips, and hands-on activities replace the monotonous memorization drills used in traditional classrooms, entertaining eager pupils and helping to ensure maximum information retention. “The goal of Vacation Safety School is to have fun while learning safety skills,” explained Plano Public Safety Officer Linda Barnes. “We try to reinforce what parents have taught their kids at home.” Often times, the kids are the ones who do the reinforcing. “Participants will go home and share information they learn in our course with siblings and other family members.” Traffic Public Safety Officer Kevin Lemon, the father of two Vacation Safety School graduates, offered this feedback from his son, Nick: “Nick said that he has never had a better time learning about safety in such a fun atmosphere! He continues to ‘school’ everyone in my family about safety, especially gun safety, as I have two home protection guns in my household.” Whether encouraging dad and mom to buckle up or reminding big sis to wear a bike helmet, Vacation Safety School graduates continue to apply the messages learned in class to real-life situations. “How do you turn your car’s siren turn on?” “Have you ever handcuffed anyone?” Curious young participants ask and learn the answers to these questions and more at the Monday morning kickoff session, which features a visit and Officer Friendly presentation by Plano Police Officer Chris Bianez. Developed during the turbulent 1960s, the Officer Friendly program is designed to help law enforcement build a good rapport with the young people of their communities through hands-on safety skills training. Few youngsters in the program have met a law enforcement officer in person, so Officer Bianez makes sure that their first impression is both positive and memorable. He explains the duties of his job, shows and describes the tools found in a police officer’s duty belt, and—the ultimate ice-breaker—invites participants outside to sit behind the wheel of a real-life police cruiser! Firearms safety is an important component of Monday’s session. Police Officer Mark Dawson begins by displaying two handguns and inviting the children to guess which one is real and which one is a toy (Answer: There is no visual difference; the two weapons look identical). The children learn to always assume that any firearm they see is loaded and to follow McGruff the Crime Dog’s four simple rules should they encounter a gun: 1. Stop. 2. Don’t touch. 3. Get away. 4. Tell an adult. Class concludes with instruction on personal safety (formerly Stranger Danger). Officer Barnes begins with the basics: don’t talk to strangers, never approach a vehicle if you don’t know the driver, always tell your parents where you are going. The children then learn to identify specially marked McGruff Safe Houses should they find themselves in frightening or dangerous situations while traveling alone to and from school, friends’ homes, playgrounds, or other locations. Before leaving, they are fingerprinted and given a set of prints to take to their parents. Appropriately, Tuesday—fire safety day—begins with a tour of a local fire station, where participants check out the department’s shiny-red fire truck and equipment and meet with the firefighters to practice fire safety exercises. The competition heats up as the children vie for prizes in a friendly game of safety bingo. During EDITH (exit drills in the home) training, participants learn lifesaving techniques, such as how to roll out of bed if they see smoke and how to touch a door before opening it if they suspect fire. The young firefighters-to-be end the visit by donning kid-sized bunker suits for a souvenir group photo. Wednesday: I’ve Got Your Number! Your average text-savvy nine-year-old knows that BFF is text-ese for “best friends forever,” but does he or she know how report an emergency via cell phone? A 911 dispatcher visits the class on Wednesday to show a video, explain the difference between a land line and a mobile phone, and introduce the Plano Police Department’s new mascot, Cell Phone Sally. The children learn to always be aware of their surroundings and to be able to describe their location to emergency responders when away from home and they take part in drills to practice proper correct 911 usage. Child pedestrian injuries increase 16 percent in summer. Safe Kids USA adds that “Children are at high risk of pedestrian injuries because they are impulsive and have difficulty judging speed, spatial relationships and distance, and cannot reliably do so until they are at least 10 years old.” Thus, after bidding goodbye to Cell Phone Sally, Vacation Safety School students are invited outside to stretch their legs while rehearsing safe street crossing techniques. School crossing guards from the Plano Police Department demonstrate SLOW (stop, listen, obey, walk) and, afterward, help the students recognize speed limit, yield, and other common street signs while completing jigsaw puzzles. Child injuries from automobile and bicycle crashes increase 20 and 45 percent, respectively, during the summer months and are the leading causes of preventable childhood deaths. The second portion of Wednesday’s session is therefore dedicated to vehicle safety. A traffic safety officer shares firsthand accounts of traffic crash scenes he has worked in which seatbelts saved lives. The children learn about the NHTSA Click It or Ticket campaign—and about their personal responsibility, as passengers, for buckling up. The participants next view a bicycle safety video, learn hand signals, and receive tips for properly maintaining their bicycles. A fearless assistant, “Eggbert,” helps the traffic safety officer illustrate how safety gear protects young noggins. Dropped while fitted with a tiny Styrofoam helmet and inside a plastic bag, Eggbert survives his great fall unscathed. When the experiment is repeated without the helmet, he cracks open. Newly acquired safety skills are put to the test during Thursday’s bicycle rodeo. The children bring bicycles or scooters from home to practice turning, braking, yielding, and weaving in and out of cones set up in the parking lot. When available, a police officer on motorcycle drops by to greet the group and demonstrate the obstacle course. Their bicycles parked, the children head inside to watch a cartoon video about drug abuse. Next, interns from Medical Center Plano conduct a lesson on basic first aid, instructing the children on how to keep insect bites and sunburns from spoiling summer fun. A representative from the North Texas Poison Control Center also alerts the class to the many poisons commonly found in and around the home—from prescription medicine (how a pill can look like an M&M) to soap in the eyes to snake venom. Drowning ranks just behind vehicle crashes as a leading cause of unintentional death among children. Most cases occur during warm months, when pools open and vacationing families head to America’s lakes and seashores. A visiting instructor from the Aqua-Fit Swim & Wellness Center starts Friday’s session with a water safety presentation and injury prevention tips for safe summer splashing. Officer Bianez returns on Friday to discuss the growing problem of bullying. The children are encouraged to describe how bullying feels and state reasons why we shouldn’t bully others. Class ends with a visit from MARK-9, a Dallas-based canine search-and-rescue team. The children enjoy meeting the pooches and learn about “two yeses,” a simple bite prevention rule (always get one yes from a parent and one yes from the owner before petting a dog). MARK-9 volunteers teach participants to take a cue from their four-legged friends during a Sit ‘n’ Stay presentation, instructing them to stay in one spot if ever they get lost so that rescuers may locate them. A graduation ceremony marks the end of Vacation Safety School. Parents are invited to hear Plano Police Chief Gregory Rushin speak and to mingle and enjoy refreshments. Proud graduates receive a certificate and t-shirt to remind them of their accomplishments. The Plano Police Department advertises Vacation Safety School via posters in area elementary schools, recreation centers, and libraries, and on local television, but the best publicity undoubtedly comes from past participants and their parents. Thanks to word-of-mouth, the program’s popularity has grown tremendously, challenging organizers to keep up with demand. There currently is a waiting list. “We have year-round requests,” Barnes stated, emphasizing the need to accommodate for staff scheduling constraints of both the crime prevention unit and the outside agencies that support the program. Documentation is another important aspect of program coordination. Organizers must ensure that parents provide contact, health, and allergy information for their children prior to the start of class. Parents of enrollees also must sign a liability waiver and agree to let their children be photographed in conjunction with Vacation Safety School activities. Special thanks to the Plano Police Department of sharing their story with us, all photo's belong to the Department. 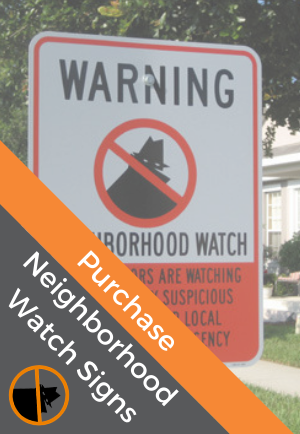 The Department is one of the 2010 Neighborhood Watch Awards of Excellence Winners.